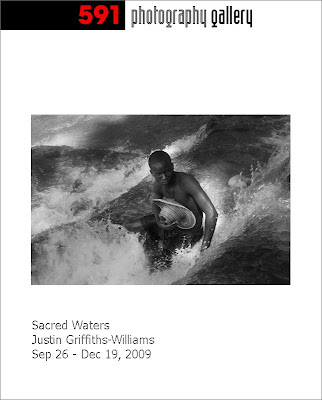 I am deeply impressed by Justin's series from Saut d'Eau and Plaine du Nord in Haiti. They appear epic, almost biblical to me. Seeing the people celebrate and worship with such passion and dedication is a stunning experience. There are many strong pictures in this exhibition and some of them are indeed masterpieces. It is often said that Haiti is ninety percent Catholic but one hundred percent Vodou. 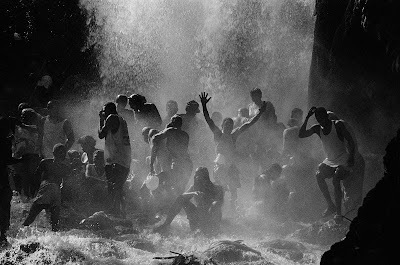 Nowhere is this religious dichotomy more evident than the annual pilgrimage to Saut d'Eau. Was it the Virgin Mary who appeared on a palm frond in the small village of Ville Bonheur in the middle of the nineteenth century, or Erzulie Dantor, her Vodou equivalent? 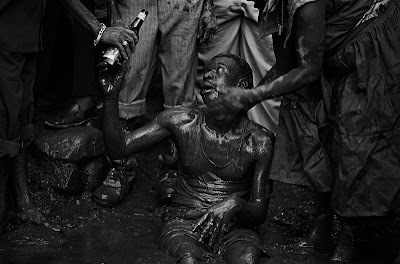 Either way, the annual July festival, which takes place at the nearby waterfalls of Saut d'Eau has become one of the focal points in the Vodou calendar, attracting thousands of pilgrims from all over Haiti as well as the extensive diaspora. 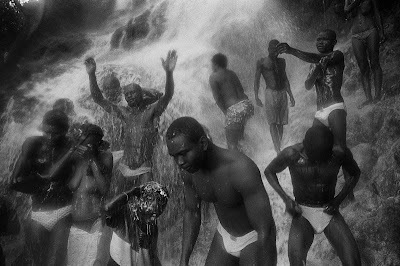 After the long and arduous journey to the waterfall, the Vodouisants [Vodou believers] bathe in the cleansing waters, washing themselves down with aromatic herbs. Offerings are made to the Vodou spirits and candles are lit at makeshift altars dotted around the falls. Amidst the cacophony of singing and prayer, pilgrims often succumb to possession by the Vodou spirits with whom they are communing. As the festival comes to a climax on the 16th July, the mood of religious fervour gives way to one of party and high spirits. The rara bands arrive, the dancing begins, and the festival closes in an atmosphere of carnival and celebration. In late July the Vodouisants move on to Plaine du Nord, a small village just outside Cap Haitian for the festival of St. Jacques. Though named after a Catholic saint, the pilgrims have come to worship Ogou, the spirit associated with power and war. In the "Trou St. Jacques" a mud pit near the church, religious ceremonies are held for three days prior to the Feast of St. Jacques on the 25th July . 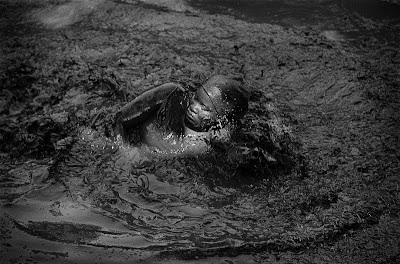 Offerings of animal sacrifices and rum are made to Ogou and participants, often in a state of possession, immerse themselves in the mud, which soon takes on a heady mix of Haitian rum and animal entrails. Waw....I am deeply impressed...and biblical is the word !!!! Very strong. Saw this series already but was completely forgotten. Very, very strong! I´m thinking of not to have water... it´s difficult to understand. Since you asked...., there have been so many people shoot this event over the years, I wonder why anyone would bother to go and then publish pictures which contribute nothing further to our understand of this occasion and nothing to further our understanding of what photography can do? What an odd thing to say. With that kind of thinking we should all toss our cameras since just about everything has been photographed before. Are you working on Mars? I too have seen many festival photographs taken in Haiti but non as beautifully captivating as Justin's. It takes something special to improve on that which has been done before. I find Justin's work inspirational. Can't wait to see Neil B's contribution to photography. Mr Neil B - you have a right to express your views of course, but unfortunately I can't find out how your critique will contribute to further understand "what photography can do"
I saw these pictures about a month ago, without knowing anything about the events. I decided not to "google" the titles - the pictures themselves were good enought to me. I saw people celebrating water, Mother Earth...life. It was just a couple of days before publishing that I found out about where and when. I even told Justin that I did not want to know - I am not an anthropologist or an expert in history of religions. 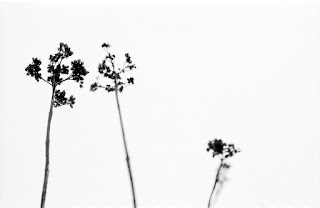 I just liked the pictures very much. There may be alternative ways to depict these events of course, but I think Justin has done a great job.